It’s easier than ever to launch an app now — which is why there are thousands of new apps submitted to the App Store every day. What’s not so easy is turning those mobile apps into a real, sustainable business. Smart app monetization requires a big-picture perspective, with developers and publishers stepping back to look at all the factors that can influence their financial performance — from downloads and IAP, to the timeline of new feature releases and updates, to choosing ad formats and ad networks to mediate. Mediation is the basis of building a sustainable ad revenue stream because it enables developers to pull in multiple ad networks, and reduces the time spent on integrating and maintaining multiple ad SDKs. 1) Which ad networks have the best fill and eCPM for my top geos? Geography helps determine which networks will best monetize your users. 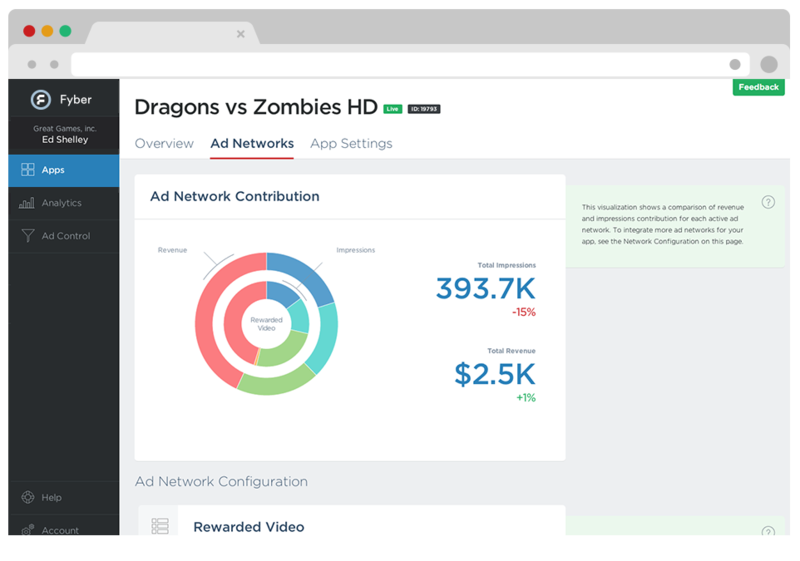 While each developer (and in some cases network) will have different geographic criteria, for the most part, regions are divided into tiers based on specific user behaviors, as well as how much advertisers will typically pay to reach them. Do a deep dive into your geo-composition, figure out which tiers your users fall into, and choose networks accordingly. 2) What’s the optimal campaign mix? Mobile ad campaigns fall into one of two categories: brand or performance. With brand campaigns (and inventory), the advertiser is looking for engagement from their core demographic group. With performance, the focus is on optimizing the lifetime value (LTV)/cost per install (CPI) formula, and getting the highest ROI from each acquisition channel. Typically, brand-only networks deliver high eCPMs, while performance-based networks deliver the fill — ensuring that you have ads to show when the opportunity arises. So looking at your mix of mediated networks through this lens is important, because you need both brand and performance campaigns to drive consistent revenue. 3) Which ad formats are best for my economy and the mechanics of my app? The other variable is the choice of ad formats and their individual performance metrics. Some apps monetize best with a mix of rewarded and non-rewarded formats, whereas other apps or games lack a robust enough economy to successfully integrate rewarded advertising. 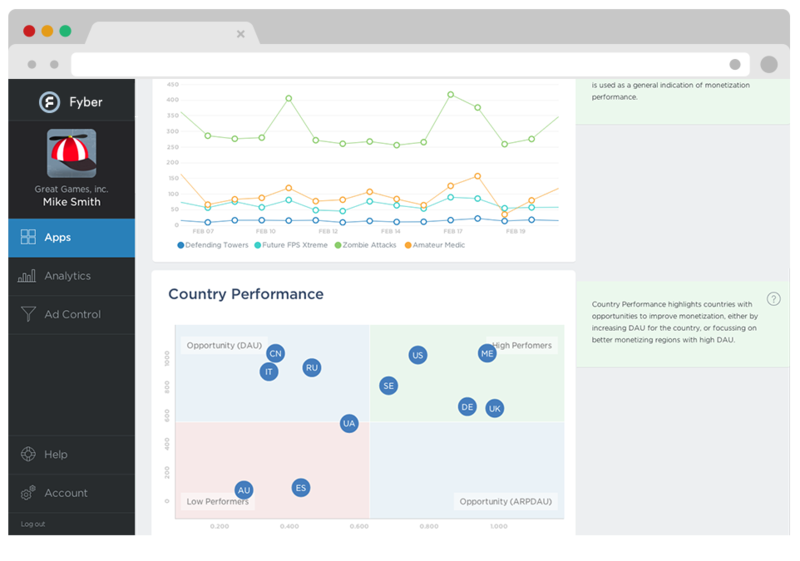 Ad format also dictates the optimal performance metrics to track. With non-rewarded formats, looking at eCPMs and fill rates is fine, but with units like Rewarded Video that influence the in-app economy, developers will also want to analyze engagement metrics like Use Rate, Views Per User, as well as ARPDAU. 4) When should I use automatic optimization vs. be more hands-on? Mediation makes mobile app monetization easy, but it doesn’t mean that developers have to “set it and forget it.” Advanced mediation providers offer automatic optimization — which means using an algorithm to calculate yield for each ad network based on various factors like a user’s past engagement, country, as well as the app that the user is currently in. But some developers prefer granular tools that give them more control over the “waterfall” — in order to take advantage of direct deals with ad networks, or even allow their own analysis of demand over time to override the real-time analysis of an algorithm when applicable. This flexibility to decide when to be more “hands-on” vs. enabling the automatic optimization should live right within the monetization dashboard. By answering these four questions, an app developer or publisher is well on their way to developing a smart, sustainable ad monetization strategy. Interested in learning more? Contact our team at [email protected] to access even more demand.